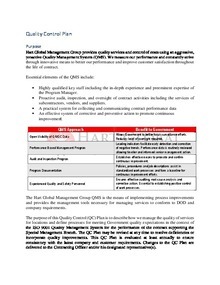 Download "HGMG Quality Control Plan.pdf"
Download "2017 QAPI Dashboard Master Template TLG.pdf"
There are over 150 board certified physicians within our group who staff multiple hospitals and freestanding emergency centers across Texas. All of our physicians receive monthly feedback and education under an “Efficiency and Excellence” program, which is a program that will be utilized by the MCEP-TLG Team at Veterans Health Care System. The Efficiency and Excellence program has produced increased patient satisfaction results, decreased ED throughput time, and improved CORE Measures for the last 10 years using un-blinded MD data. Efficiency and Excellence program will be specifically designed and focuses on metrics and data points that are key to each individual facility that it staffs. 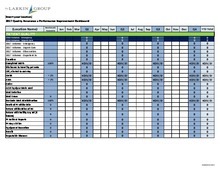 In Addition, we also utilizes a Quality Assurance and Performance Improvement program to monitor the overall patient quality metrics that are closely measured by our hospital clients. 1. Regular site visits. Regular discussions with VA staff including medical director, physicians, nurses for feedback and concerns about our physicians performance. 2. Regular communication with veterans about the quality of care provided- this may be via person discussions, feedback surveys or feedback forms. 3. Regular review with management team in regards to physicians’ performance parameters and their success in aligning with the vision of the Veterans Affairs Healthcare System.